Availability: ALL GONE! GoTalk Pockets are now officially finished, such a great device. Thanks for the AAC assistance Pocket GoTalk! ALL stock now depleted and officially discontinued. 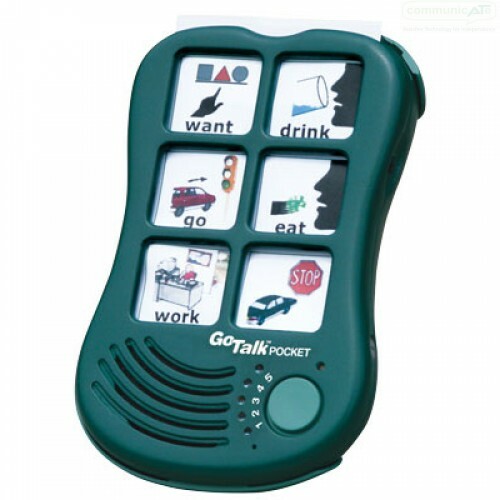 Thanks for your help GoTalk Pocket, you have been an AAC star, one of our all-time favourites! 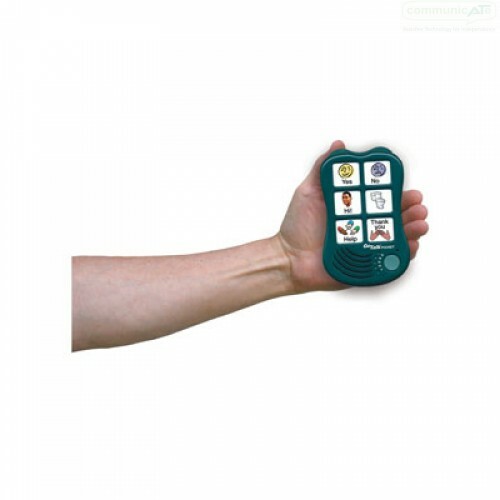 Consider GoTalk Select if your interested in a potable, compact yet simple recorded speech AAC tool. ALL stock now depleted and officially discontinued. The GoTalk Pocket is lightweight, contoured and small enough to fit in your hand, pocket or purse. Attach the included lanyard and you can use it as a wearable communication device. Six message keys with five levels give the user plenty to talk about. Overlays slide in easily and are stored in a removable compartment on the back. Like all GoTalks, the GoTalk Pocket is rugged, attractive, easy to use and has great sound quality. Save when you buy the GoTalk Pocket with the GoTalk Overlay Software to quickly create great-looking, personalized overlays! Size: 8.9 x 14 x 2.5 cm. Total recording time: 5 minutes. Includes three AAA batteries and 2-year warranty.